We are situated next to the Spirit Creek Golf Course. From the QE2 (Queen Elizabeth Hwy2) and Hwy 11A junction, head west to the traffic lights. Head north on RR 275 for 3km. Click Here to Print Location Map. 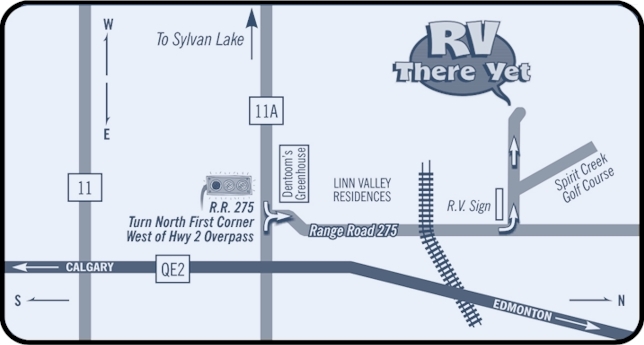 Copyright © 2011, RV There Yet Campground. All Rights Reserved.